The first book I read in 2012 was one written by and about the Rushford Volunteer Fire Department and their response to the flood of 2007. Their thoughts were collected by Bonnie Flaig Prinsen and the book was published with help from the Rushford Community Foundation. It is a great document for posterity and it was good to read it. I entered the information into Goodreads, which is something I haven’t done before, so I hope it gets other views! The next book I had was terribly overdue to the library so I did some intense browsing/speed reading so I could return it today. It was a great book about creating meals from real ingredients. It is something that I like to do – bake bread, make cakes from scratch – and I thought it was very well-written. I loved reading about the evolution of cake mixes and how in the 1950s the women could tell the difference and didn’t like that they just had to add water, so they created them so that we could add eggs, oil AND water. The rest of the ingredients should read flour, sugar, salt, soda, but the ingredient list goes on and on. Crazy. 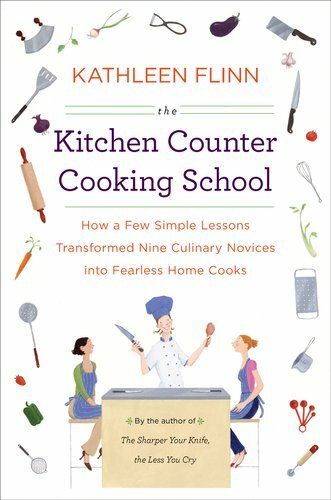 It was a great book and would be a great gift for someone who is wanting to change their fast-food ways and to learn how simple it is to really prepare real food. Next I plan to read my back issues of magazines and dig into the pile of books that are on my nightstand! They are books I own, books I was given as gifts, and books I borrowed. And I’ll read the next book for book club – The Center of Everything. Again, I love the book club in a bag concept! 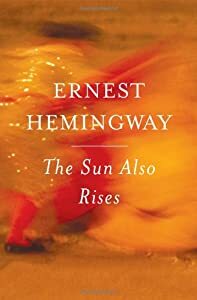 This entry was posted in About Book Blogging, General Book Talk and tagged book clubs, Ernest Hemingway, GoodReads, Midnight in Paris, Paris, Sun Also Rises. Bookmark the permalink.